Gov't to Announce Heat Wave Countermeasures by Sept. The government plans to come up with comprehensive countermeasures for heat waves by next month, including establishing a manual on how to cope with extreme, hot weather. The Ministry of the Interior and Safety said on Friday that it made the decision at a meeting with related agencies and regional governments. Possible plans discussed during the meeting include providing sufficient financial assistance for air conditioning systems at primary and secondary schools and readjusting school times for students. The government is also considering increasing the number of shuttle bus services for residential areas with high numbers of low-income households. 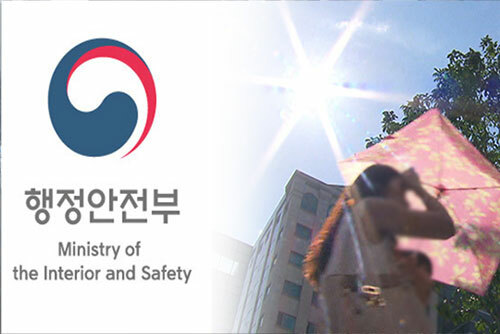 Interior and Safety Minister Kim Boo-kyum also urged participating officials to revise related laws and ordinances to facilitate the swift execution of related budgets when heat waves occur.